The amazing and incomprehensible Mikhail Vrubel was born on 17 March 1856. What were the wings to take his spirit away on 14 April 1910? White or black ones? 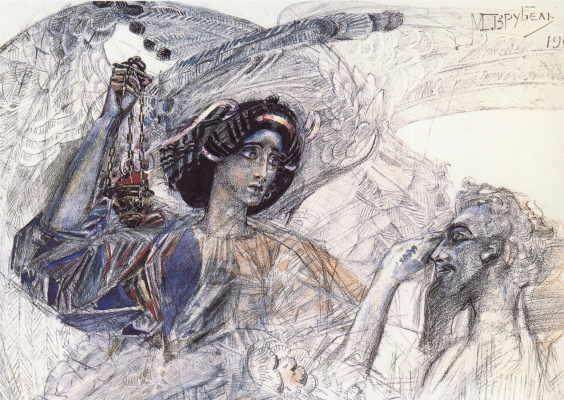 The fantastic and mystical world of Vrubel, his sensual aesthetics fascinated, attracted and… repelled contemporaries. His work, his spirit remains a mystery — did the painful or brilliant consciousness lead this artist? Even when he used the themes of the Russian epic or biblical images, even in his landscapes and still lives there was too much passion, termagancy — liberty that refuted established canons. Let alone demons and spirits! He was a short man with the appearance of a Venetian "by Tintoretto or Titian", and in his soul, there was a constant dissatisfaction with this world and a longing for the other world. That is probably why the topic of the Demon became central in his work, even when he did not realize it yet. Can a child who lost his mother meet her? 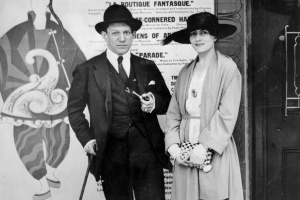 Yes, Sergei Karenin was lucky: once, when he was sleeping, his mother broke into the nursery and caught her son in her arms, glaring at him — saying goodbye forever. How often did Misha Vrubel imagine his meeting with his mother? Mother died when he was three, and a few years later, his sister and brother left this world. Only Anna remained, the eldest sister, the closest person for life. 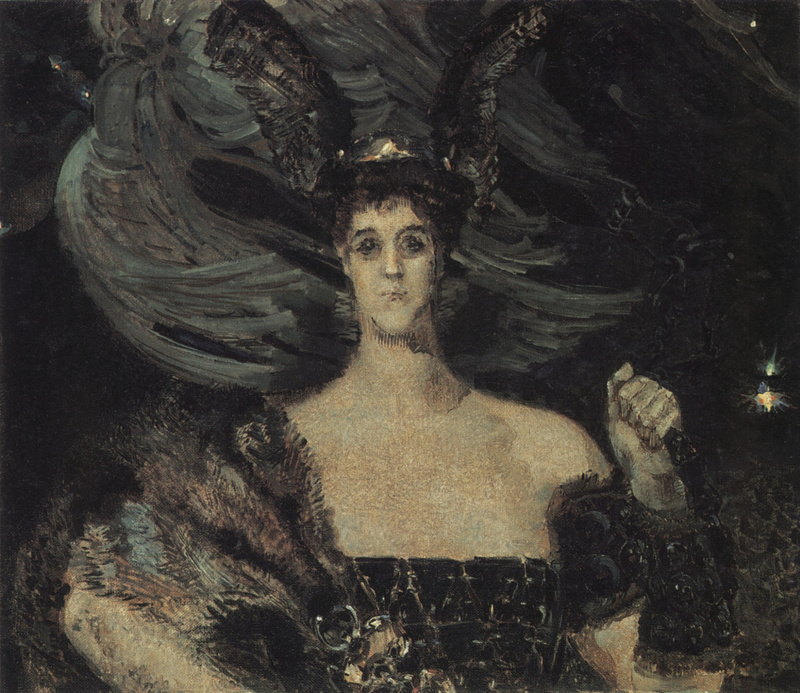 Anna Karenina was the first demonic woman in the works of Vrubel. Her umbrella and gloves are impulsively thrown away. Passion and tragedy. The Second Demon. "I'm bored, devil"
Mikhail’s father was a military man, the family moved from place to place — Omsk, Saratov, Astrakhan, Petersburg, Kharkiv, Odesa… All this did not bode well for long attachments. In Odessa, they stayed for a long time. Here, a teenager Misha turned into a young man, evoking interest and delight of those around him. 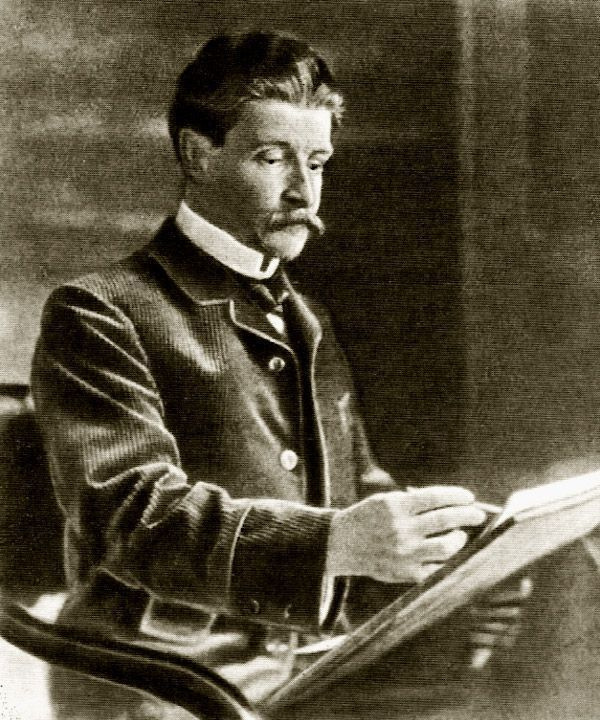 He succeeded in literature and languages, enjoyed history, read the Roman classics in original language and graduated from the Odesa Richelieu gymnasium with a gold medal. 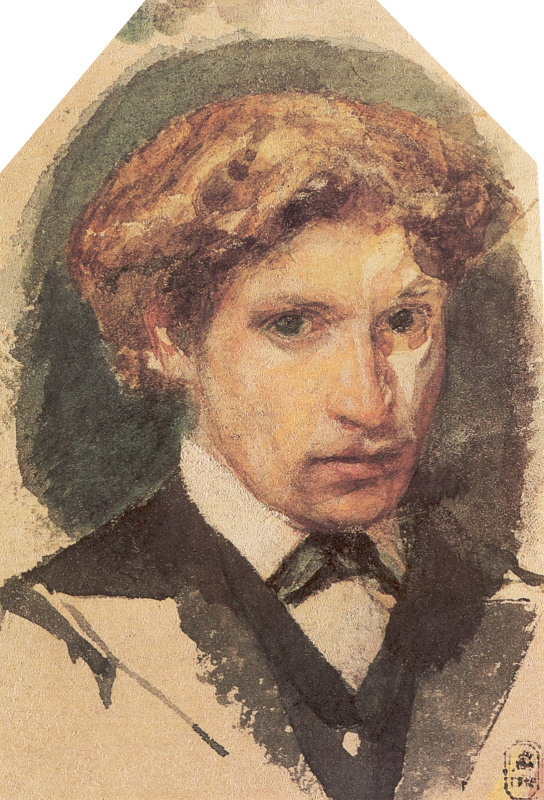 The family encouraged Mikhail’s fascination for drawing, he attended the Odesa Drawing School. Sociable young man, with diverse musical, theatrical and literary interests, he easily made acquaintance with people of art and science. In the letters to his sister, he described the revealed adult world in detail. painter himself; he asked me to come to him for painting at any time and promised to get some paintings from Novoselsky gallery for copying". "A thousand, a thousand times I envy you, dear heart Anyuta, that you are in Petersburg: do you understand, madam, what does it mean for a person sitting in this muddled Odesa, who has covered his eyes looking at all of its stupid people, to read the letters of a St. Petersburger, which seem to smell like the freshness of the Neva"; "Lord, I can’t look at the life of the young ladies of these Novorossiya slums any more… leisure hours… they pass in empty conversations in the closest circle of acquaintances who only make the whole mental system dull and debase. Men spend no better time: food, sleep, and playing cards." …Perhaps this is all youthful maximalism and thirst for life, but Pushkin’s Faust comes to mind: "I am bored, demon." In St. Petersburg, studying law, Michael rushes into the maelstrom of the capital’s bohemian life and… the search for truth: he studied philosophy and got forever penetrated by Kant’s aesthetics theory. Creativity becomes the only opportunity to reconcile being with spirit for him. At the Academy of Arts, Vrubel got into the workshop of P. Chistyakov, who was the teacher of I. Repin, V. Surikov, V. Polenov, V. Vasnetsov and V. Serov. 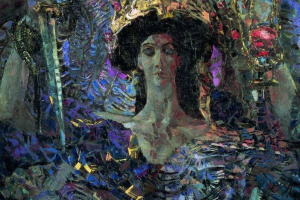 The Vrubel’s famous appearance and "crystal shape" are from Chistyakov. He taught the artist structural analysis of the form and a breakdown of the pattern into small planes, the joints between which formed the edges of the volume. "When I started classes from Chistyakov, I liked his basic positions very much, because they were nothing more than the formula for my lively attitude to nature, which I espouse." 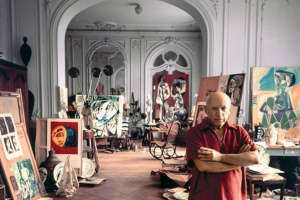 "… the maestro was making a thinnest graphic web on a sheet of paper with quick, angularly-chopped strokes. 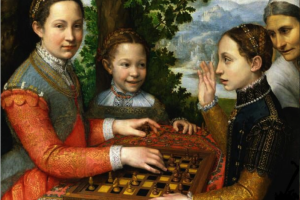 He painted in separate, unrelated pieces… Other teachers at the beginning of the drawing called us for integrity, lack of detail that prevented us from seeing the large form. 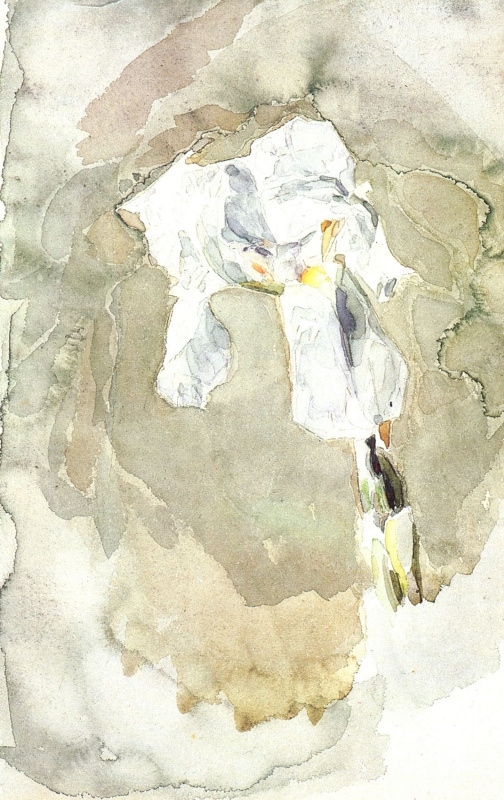 But the Vrubel method was completely different; at some point, it even seemed to us that the artist had lost control of the drawing… and we were already anticipating the artist’s failure… And suddenly, before our eyes, the space touches on paper gradually began to take on a crystalline form. …before my eyes, I saw the fruit of the highest skill, the product of amazing inner expression, clear constructive thinking, denounced in an ornamental form. " 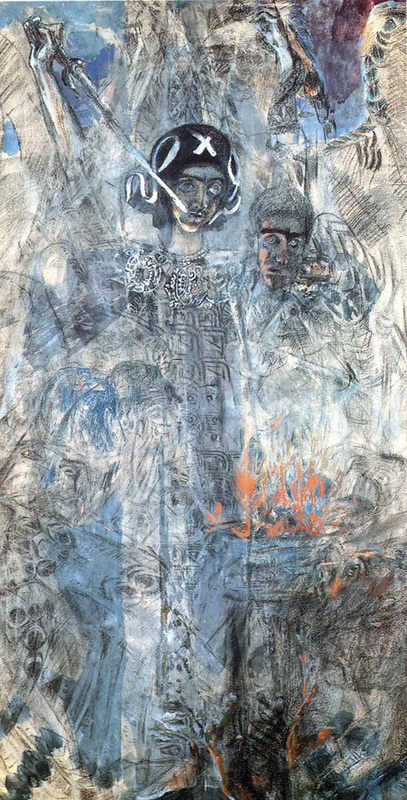 Read also: "How Mikhail Vrubel was in Kyiv: the routes of passions"
While working on the painting of the Church of St. Cyril, for the restoration of which he was invited to Kyiv by Professor A.V. 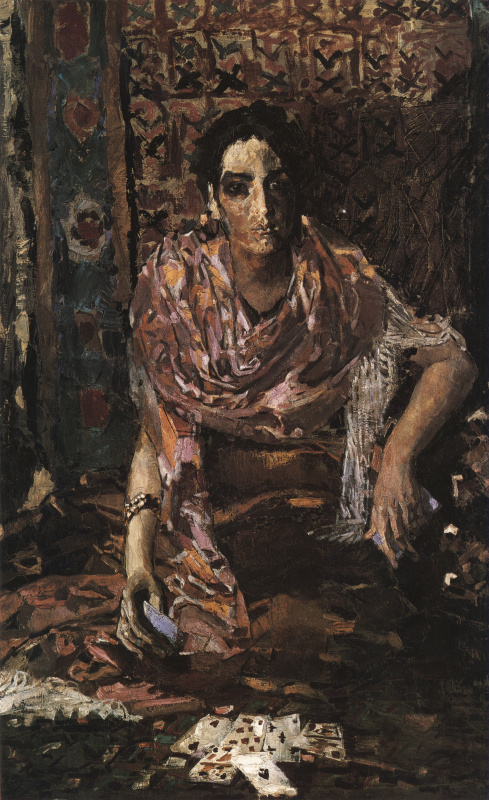 Prakhov, Vrubel fell in love with the Prakhov’s eccentric wife Emilia Lvovna. 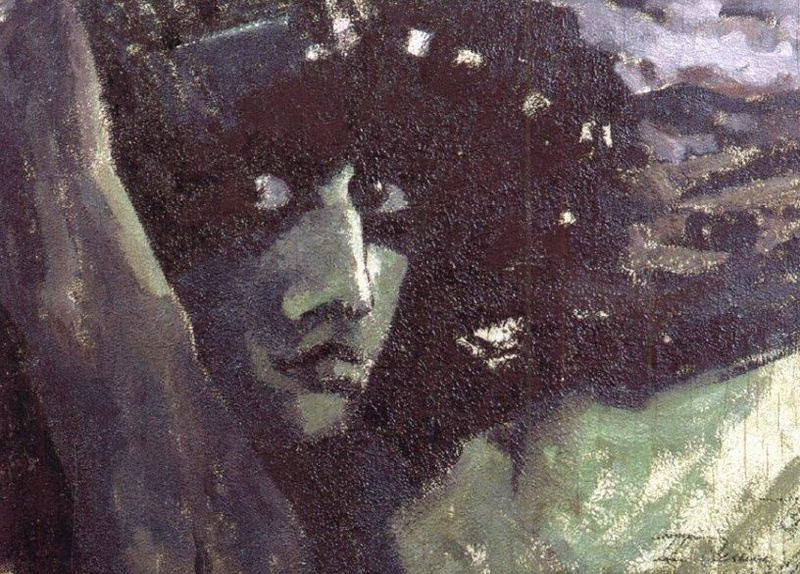 K. Korovin recalled that, while swimming in the pond, he saw large scars on Vrubel’s chest; the unfortunate lover answered the question about them: "…I loved a woman, she did not love me — she even did, but much prevented her understanding me. I suffered in the impossibility of explaining this to her. I suffered, but when I cut myself, the suffering decreased." Vrubel went to Odesa to be treated for love longing. 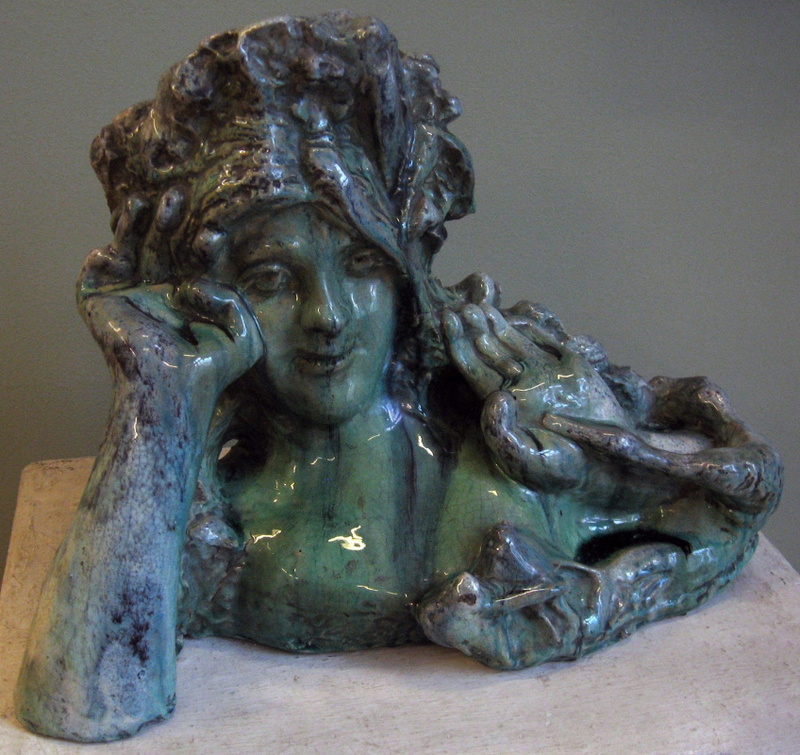 In Odesa, he began working on the image of the Demon Seated. 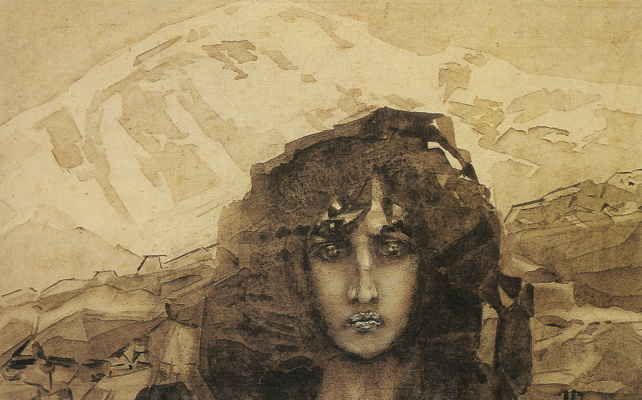 Serov recalled that he had seen the bust image of the Demon against the background of the mountains: "…upturned, the picture represented a surprisingly complex pattern, like a faded crater or a landscape on the moon." The picture was created only with two oil paints: white and soot. 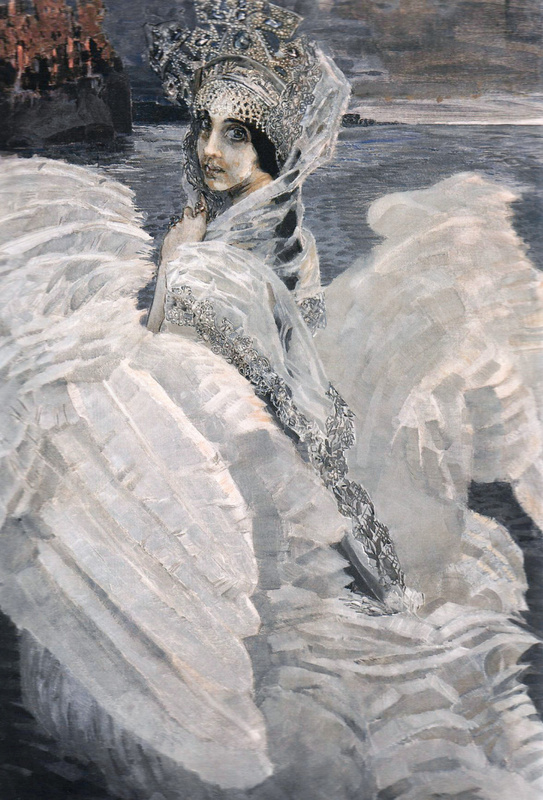 Vrubel was an unmatched master of the shades of white. "This demon seemed to me evil, sensual… repulsive… elderly woman." 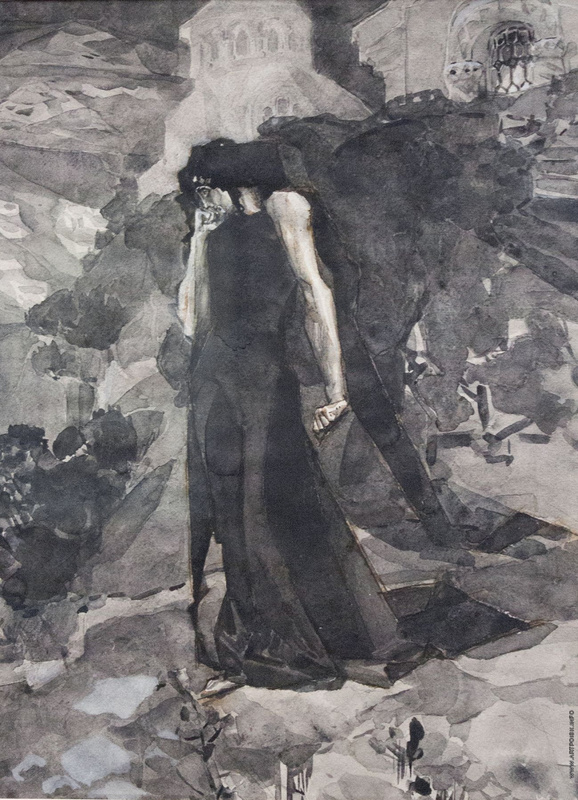 The artist destroyed this work, but he returned to the theme of the Demon later in Moscow. 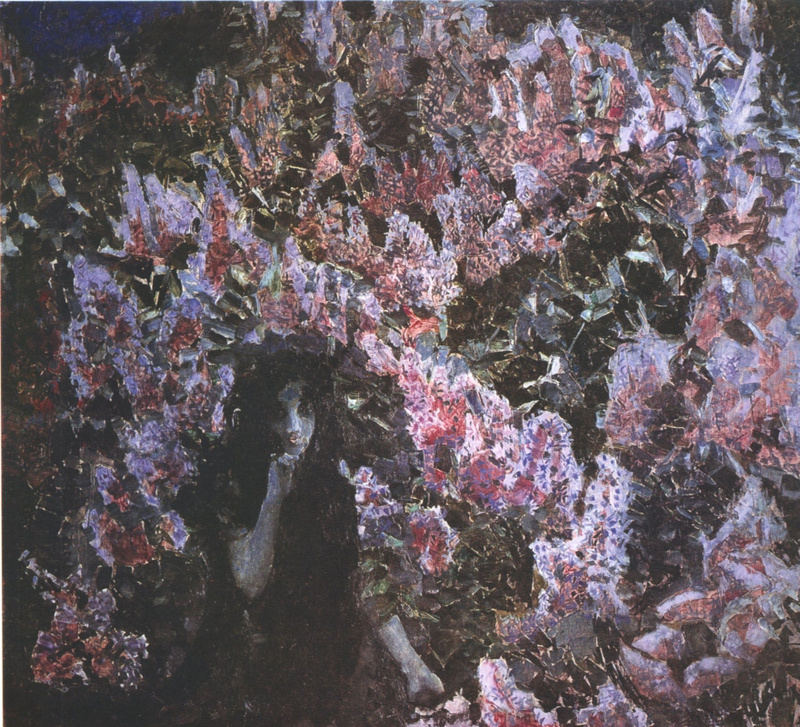 "For about a month now I have been painting the Demon; not the monumental Demon I will paint with time, but the "demonic"one, half-naked, winged, young, sadly-pensive figure sitting, hugging his knees, against the background of the sunset and looking at the blossoming meadow, from which the branches are stretching, bent under the flowers". 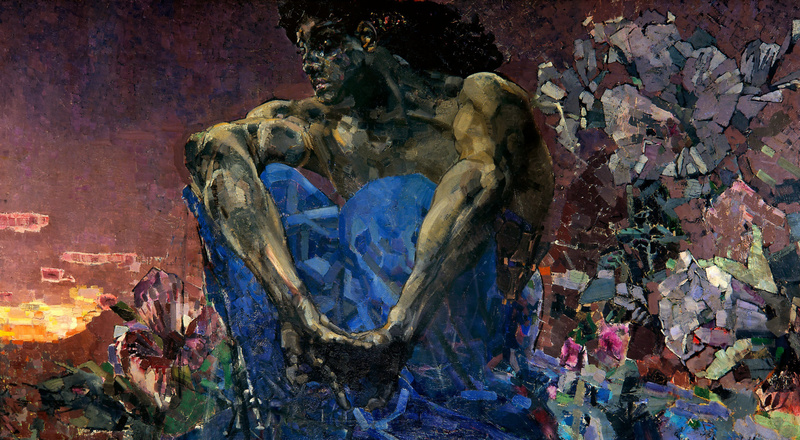 In the Demon Seated, the Vrubel’s signature large "molding" and crystal-like painting were most clearly manifested. It is noteworthy that Anna Vrubel at the gymnasium recalled her brother’s hobby in natural science and growing crystals. 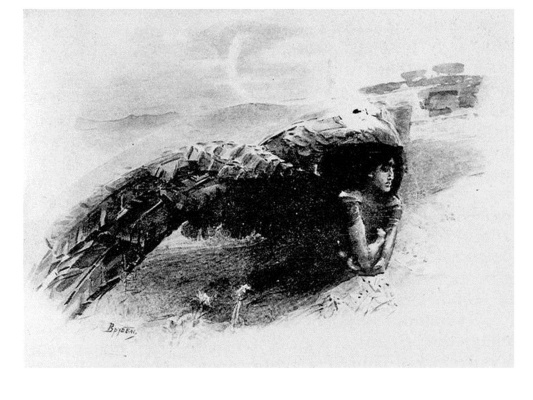 In 1891, Vrubel was offered to illustrate the collection of Lermontov’s works published by Kushnerev. Of course, he started with "The Demon"! The artist painted it endlessly, making many sketches. burnt through by an inhuman tear!.. 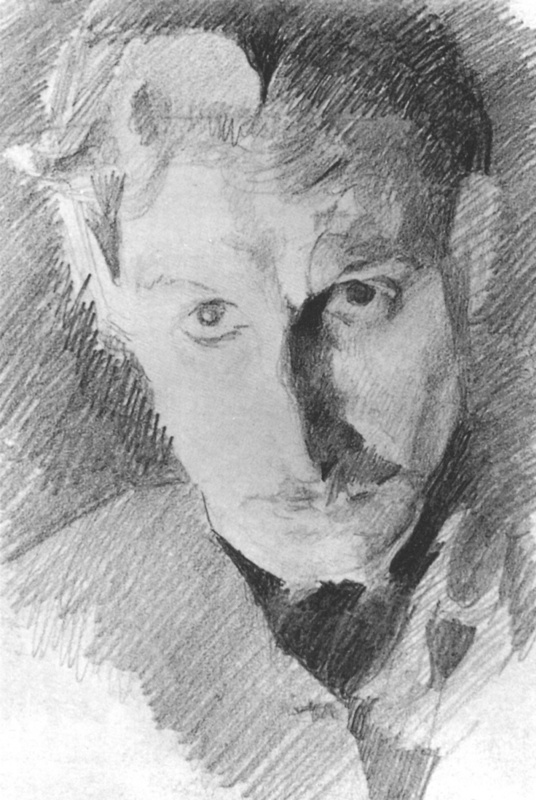 The public was not ready to meet face to face with such a demon: after the book was published, illustrations by Vrubel were severely criticized for "rudeness, ugliness, caricature and absurdity". 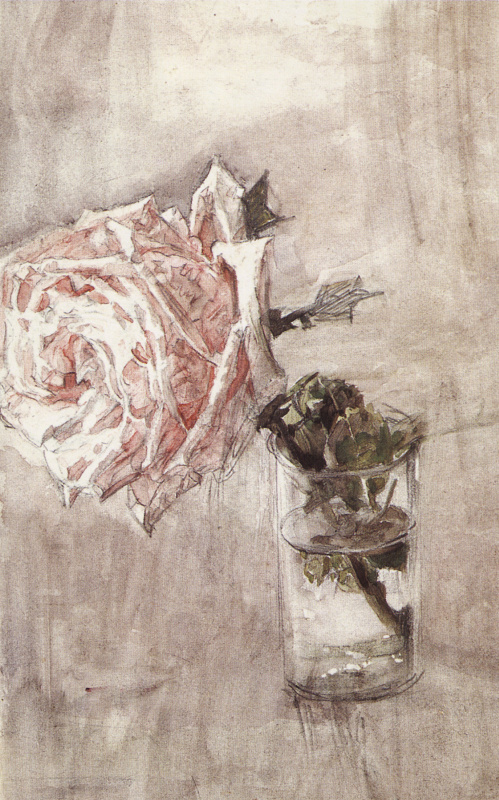 None of the illustrators managed to embody the restless hopelessness, melancholy and bitterness of this unearthly creature with such force. 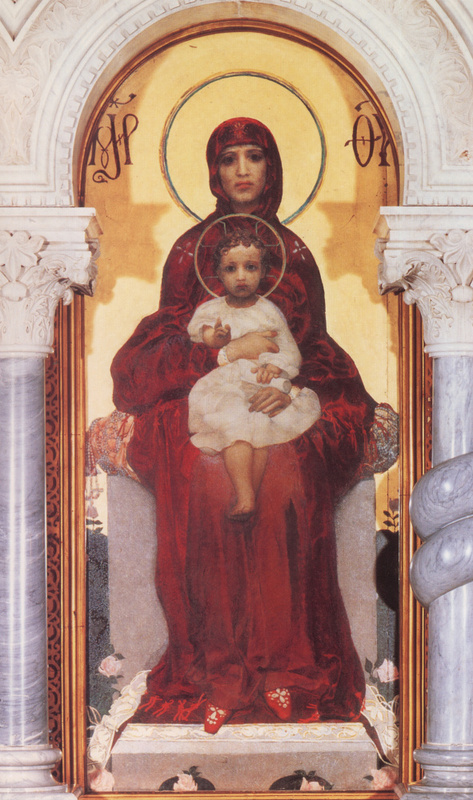 In 1896, Savva Mamontov ordered Vrubel two panels measuring 20×5 m for the All-Russian Exhibition in Nizhny Novgorod timed to the coronation of Nicholas II. Down with the demons! 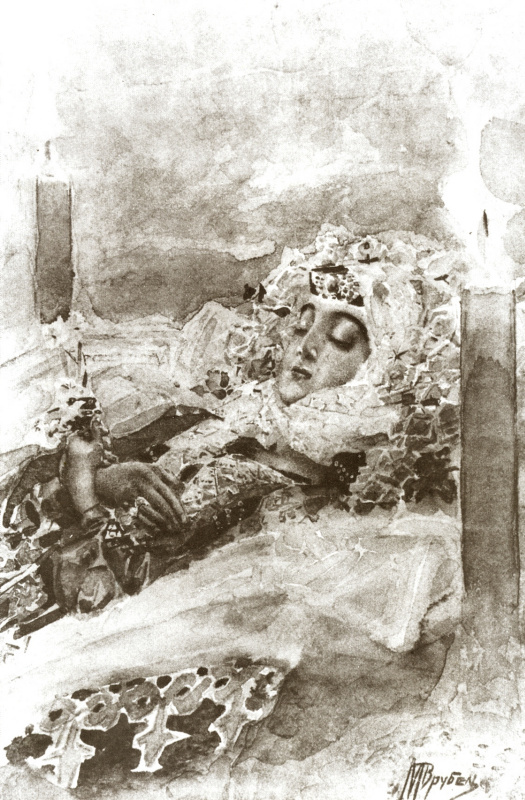 Vrubel conceived the image of Gryoza (rus. The Dream) — the muse inspiring artists. She also was a spirit of the other world, but quite a friendly one. 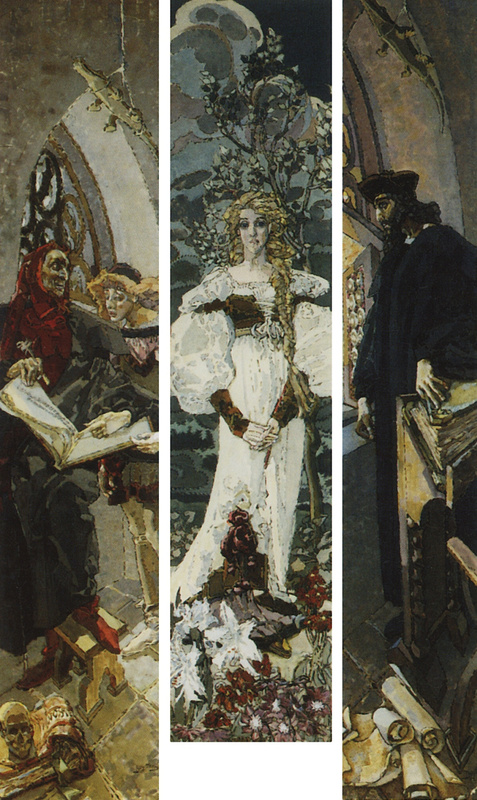 The Commission recognized both Vrubel’s panels — Mikula Selyaninovich and Princess Gryoza — as monstrous. 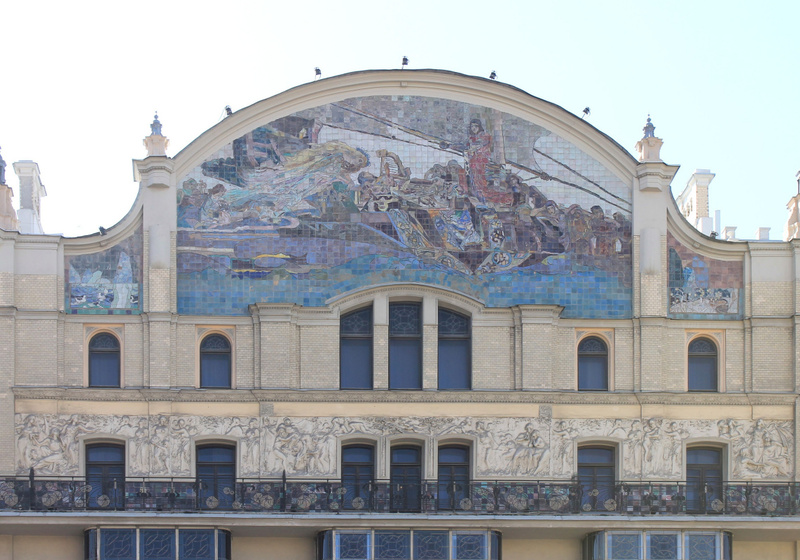 In response, Mamontov built a special pavilion for the arrival of the imperial couple called: "The Exhibition Of Decorative Panels By The Artist M. A. Vrubel, Rejected By The Jury Of The Imperial Academy Of Arts." However, he had to paint over the last words. 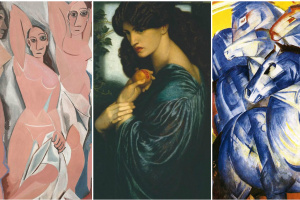 Newspapers exploded with criticism, especially Maxim Gorky (by the way, he wrote a monstrous article against jazz in the Soviet press), — he exposed the "poverty of the spirit and the poverty of the imagination" of the artist in five articles about the exhibition. 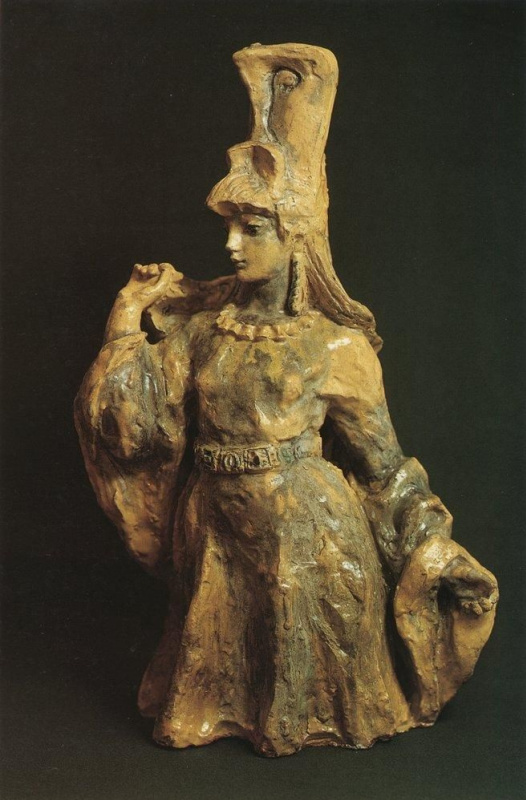 Subsequently, one of the gables of the Metropol Hotel was decorated with majolica panels Princess Gryoza by M. A. Vrubel. The Eighth Demon: who is in the guise? 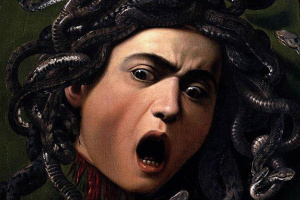 In a conversation with his father about the first Demon, the destroyed one, Mikhail explained that a demon is a spirit that unites the male and female appearance. Probably, this scared customers and viewers in the female images of the artist. They felt worried by a fascinating mystery, a call to the unknown. 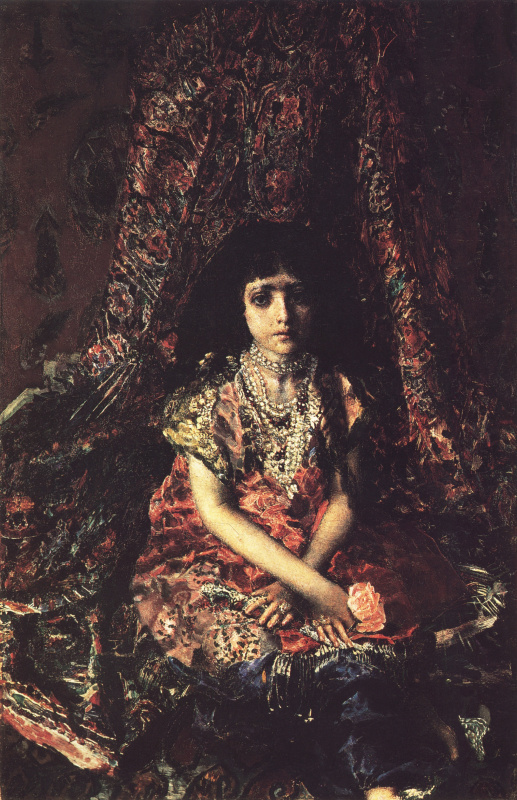 His Fortune-teller, the spirit of Lilac and even the Girl Against the Background of Persian Carpet are alien to Russian aesthetics, here the Orient "spent the night" with its disastrous Shamakhani queen. In this face, in the eyes as big as half a face, in the position of the head, there is the same demonic longing. 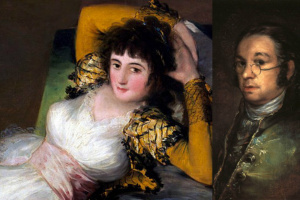 Did the Demon, in spite of Lermontov, take Tamara into his joyless world? Did he turn her into the Swan Princess? 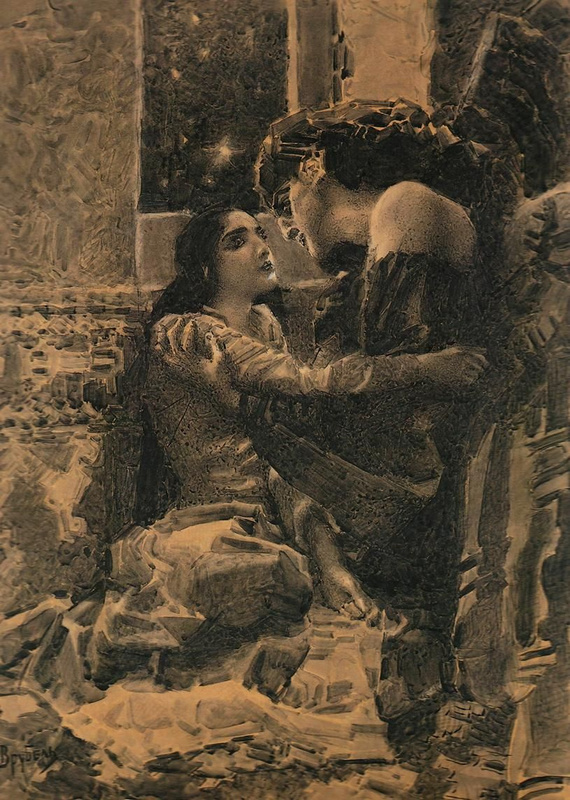 This "otherness" made The Swan Princess the favorite picture of Alexander Blok, but not the rest of the public — it was also subjected to fierce criticism. Ilya Repin scarcely dissuaded Mikhail Alexandrovich from destroying the Morning panel rejected by the customer, where the line between male and female is completely erased in images of ghosts. Appeal to the spirits of the forest, rivers, mountains is very characteristic of Vrubel’s "formula of lively attitude to nature." And he returned to the mythological images again and again. 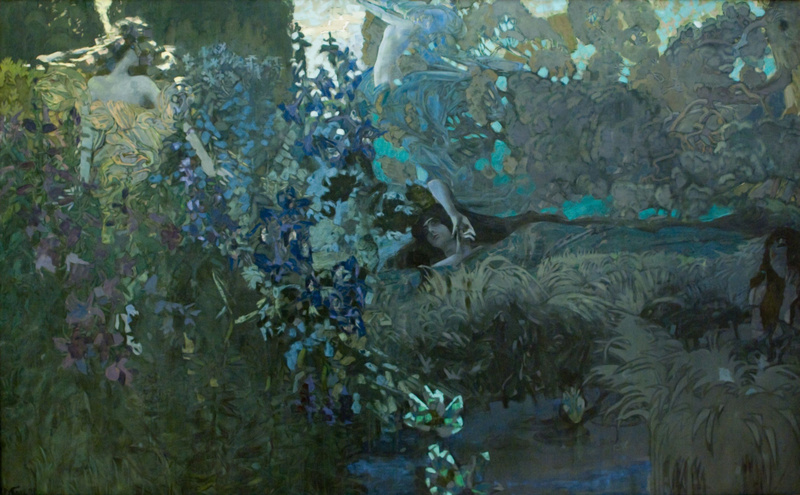 In the Tenisheva’s estate, where the Vrubel couple were invited to rest, the artist impressed by Anatol France’s novel Saint Satyr creates Pan in one day. The mistress of the estate, Princess Maria Tenisheva, appears in the form of Valkyrie — the warrior who ferries fallen warriors to Valhalla. "Валькирия" вместе с "Болотными огнями", как символ возвращения в город юности художника, попала в коллекцию Одесского художественного музея (дар М. В. Брайкевича). Также в музейной коллекции находятся два рисунка художника — "Семья Я. В. Тарновского за карточным столом", "Портрет неизвестной" и две майолики — "Волхова" и "Морская царица" (из собрания А.П. Руссова). 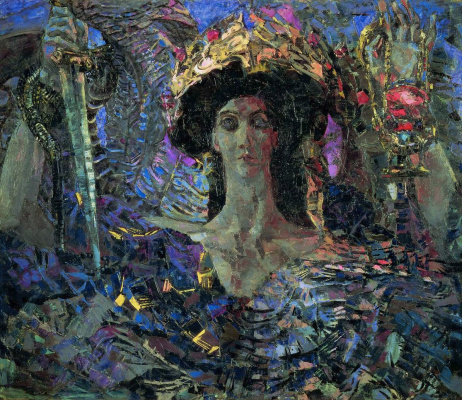 The Valkyrie, together with the Swamp Lights, as a symbol of the return to the city of the artist’s youth, got into the collection of the Odesa Art Museum (a gift from M. V. Braykevich). 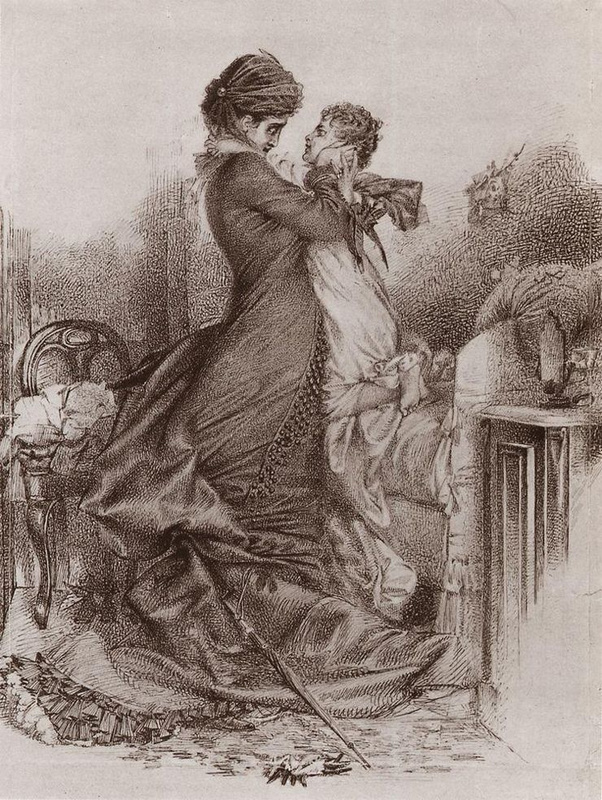 Also in the museum’s collection, there are two drawings by the artist — The family of Ya. 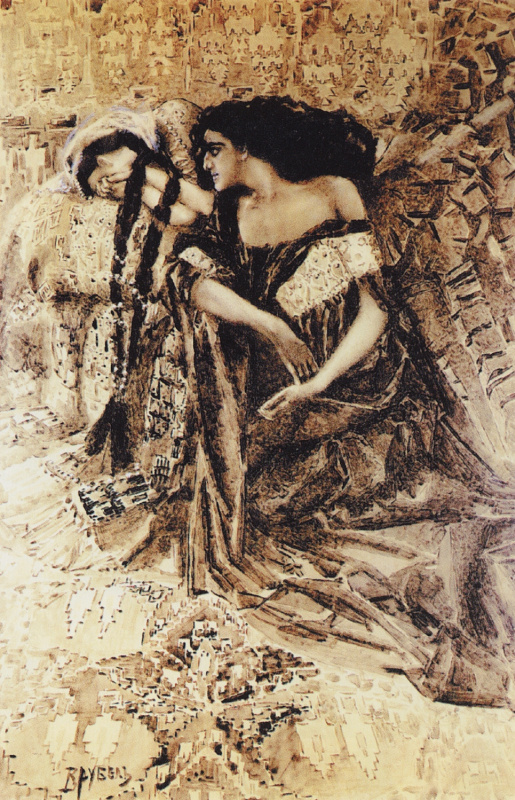 V. Tarnovsky at the card table, The Portrait of an Unknown and two majolicas — Volkhova and The Queen of the Sea (from the collection of A. P. Russov). 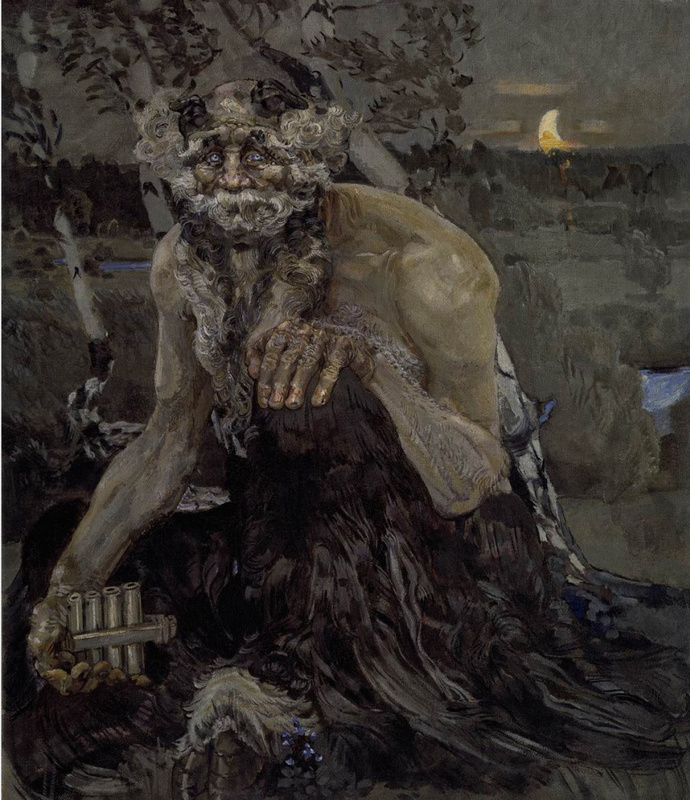 Read also: "Mikhail Braykevich, the friend of Somov, Vrubel, Bakst and Benoit: an incredible collection"
Vrubel explained that his Demon should not be confused with the traditional devil; demons are "mythical creatures, messengers … His spirit is not as much evil as suffering and sorrowful, but given all that he remains a powerful spirit… and dignified". Demons, angels, seraphims are the divine essence for the artist, endowed with greatness. In his paintings, they appear in their full splendour, announcing a different world. 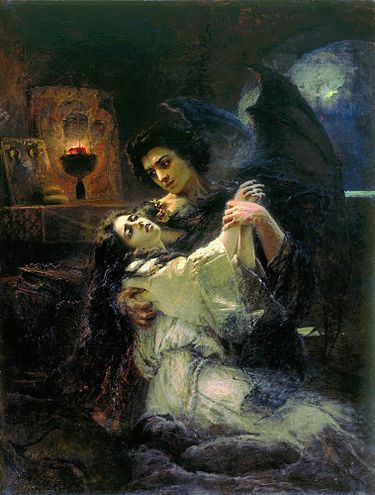 Demon and angel with Tamara's soul. 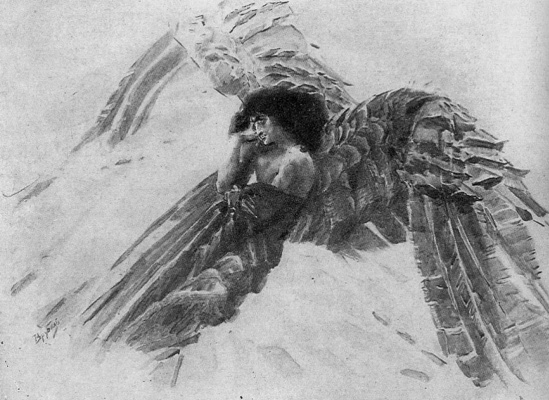 Illustration to the poem by Mikhail Lermontov "Demon"
A decade later in 1898, Vrubel returned to Lermontov’s "Demon" (Lermontov himself reworked his "Demon" to the end of his life, nine of his editions were preserved): he hesitates between the stories of the Flying Demon and the Defeated Demon. 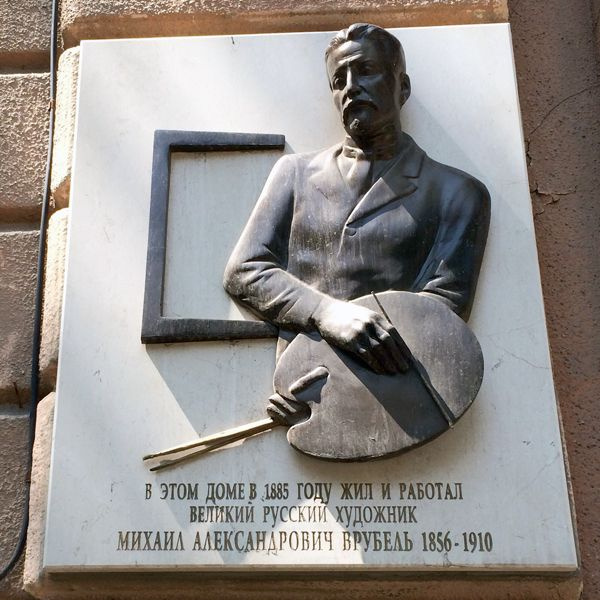 In 1900, the artist comes to recognition: at the World Exhibition in Paris, he was awarded a gold medal for the fireplace Volga Svyatoslavich and Mikula Selyaninovich. Next comes the diagnosis of "incurable progressive paralysis" and a psychiatric hospital. 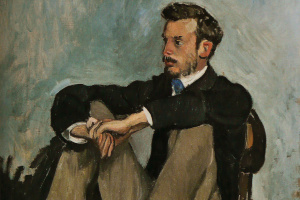 "My dear woman, wonderful woman, save me from my demons…" Vrubel wrote to his wife while in the hospital. This broken Demon has empty glassy eyes, the plumage of once powerful wings turned into decorative peacock feathers. 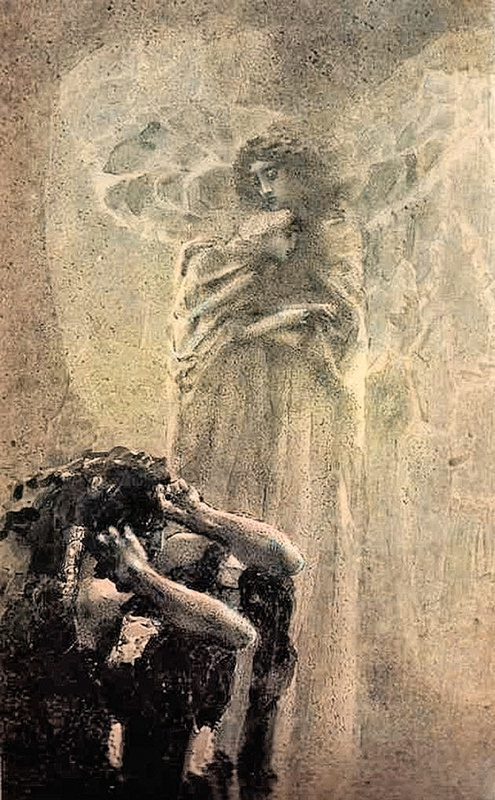 The last of his "otherworldly scenes" was The Visions of the Prophet Ezekiel, which remained unfinished: in early 1906, the artist Vrubel was gone: he went blind. His psychiatre Usoltsev wrote, "It wasn’t with him like with others, that the subtlest, so to speak, the last appeared concepts — the aesthetic ones — die first; they were his last to be killed since they were the first. " "Creating Demons again and again, he only betrayed the secret of his mission. He himself was a demon, a fallen beautiful angel, for whom the world was infinite joy and endless torment… He left us his Demons, as spellcasters against the purple evil, against the night. 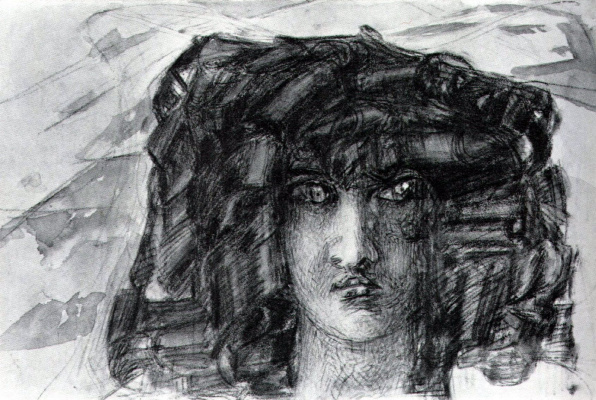 I can only tremble before those things that Vrubel and his ilk open up to humanity once a century. Those worlds that they saw, we do not see. " вновь обрести (в) себе Царя. Эй, Дух свершающий, - кто я? Каков удел… мой Бог жесток! был права выбрать себе глину? так в чём же Оку жало лыблю? быть камнем* и живым цветком. В этой статье всё потрясает: образ художника, его жизнь, творчество. И сама статья хороша. Спасибо!